Waste is hazardous when it has properties that might make it harmful to human health or the environment. The term ‘hazardous’ does not always mean that such waste is immediately harmful, though some can be. Airload Environmental provides a liquid waste disposal solution for various clients operating in the industrial, commercial, public service, construction and domestic sectors. 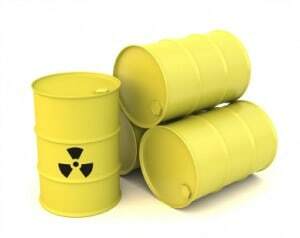 If your liquid waste is hazardous or non hazardous: with over 30 years experience and knowledge of the industry Airload Environmental will provide a suitable route to collect, transport and correctly dispose of your Hazardous waste stream at a licensed treatment or disposal facility. Storage tanks, vessels and bund areas. Interceptors , vehicle washes and wash down pits. Difficult access areas such as below ground flooded basement etc. Lakes, lagoons, reed beds, water courses, ditches and ponds. Should the waste need to be sampled or the method of the works discussed a site meeting can be arranged. Fuel or oil contaminated water. Waste or contaminated fuels (diesel, petrol, paraffin, mixed fuels). Waste oils such as soluble, cutting, engine, hydraulic, lubricating, gas oil, heavy fuel (HFO) and vegetable oil.